Untying the Knots is an exemplary work of biography and journalism. 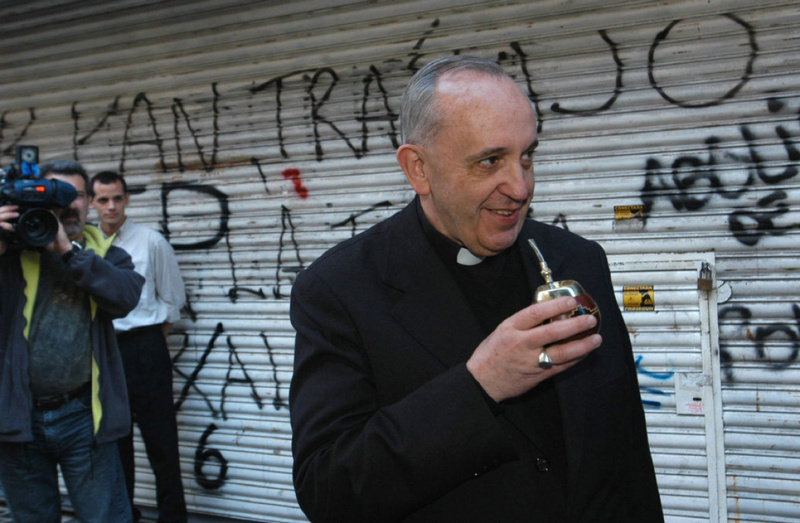 Shortly after Jorge Mario Bergoglio’s election as pope Paul Vallely, the author, spent some time travelling to Rome and Buenos Aires to meet friends and enemies of the new pope. The result of this research is this book. Despite being relatively short it is teeming with detail, including sketches of Argentinian politics, the origins and conduct of the “Dirty War”, and the machinations of two papal elections, as well as the origins and career of the new pope, Francis. The central issues of the book relate to Bergoglio’s personal conduct during the Dirty War and what sort of a pope he will be. In relation to the first question Vallely explores in some depth the key question relating to Bergoglio’s role in the kidnapping and torture of two Jesuit priests by the military junta when he was Provincial of that order. The answer to that first question is fundamental in Vallely’s assessment of the second. In the end Vallely paints a convincing picture of a man who was politically conservative and personally authoritarian in his youth, making some dreadful mistakes as a result of which some innocent people were killed, imprisoned and tortured. But while remaining quite conservative Bergoglio appears to be someone who, as a result of deep shame at past misconduct and misjudgement, has grown into a generous and courageous figure. It will be interesting to see the sort of pope that Bergoglio becomes as Francis but Vallely presents considerable evidence to suggest a hopeful prospect based on his radical conduct in the first months of his pontificate. This entry was posted in Book Review by aidanjmcquade. Bookmark the permalink.